"We specialize in patios covers, arbors & pergolas in Prosper & Little Elm"
"Hello and welcome to DFW Fence and Outdoor Patios and Pergolas in DFW. 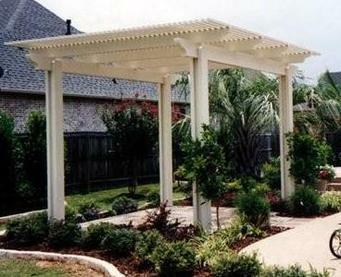 I've been specializing in custom outdoor patios and arbor construction for over 10 years in North Texas. This dedication to your patio space means you get the highest quality construction possible. If you need any sort of patio work, you came to the right place. Please take a look around my site and give me a call today for a free quote!"